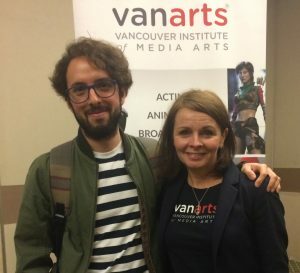 Since VanArts was founded, we have welcomed hundreds of students from the beautiful country of Mexico. 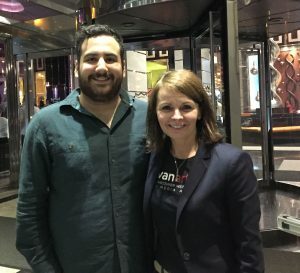 On our most recent info session tour to Mexico City, Guadalajara and Monterrey, our student services manager Julie Howgate had the opportunity to catch up with several alumni who have returned home to Mexico after graduation to live out their dream careers. Professional Photography graduate Rodrigo Ceballos works in Mexico City as an official photographer for Amazon. He has built up a huge portfolio of work for clients including Absolut Vodka, AT&T, Sony, Da Silva and dozens more. Oscar De Aguinaga just completed our Broadcasting & Online Media program in the spring and has started his career as a sports broadcaster. After working on features and TV series at Hydraulx, Image Engine and Embassy studios in Vancouver, Visual Effects graduate Eden Muñoz has started his own studio and training centre in Monterrey: Pixel Perfect VFX. Joining his staff most recently is fellow VFX graduate Luis Moya. Eden’s company is just getting started but already they have finished production on a music video for an award-winning song in Mexico: “Coqueta” by Ghetto Kids ft. BrunOG. Julie asked Eden and Luis to tell us more about their visual effects careers and show off the studio. Here is the music video with visual effects by Pixel Perfect Studios. We are very proud of our Mexican graduates and we love hearing from them about their successes and new endeavours in the industry. Some of our graduates from years gone by have also returned to Vancouver, including Renee Chio who just finished working on the My Little Pony Movie at DHX Studios and Samuel Rico who recently moved back here to begin work on Hotel Transylvania 3 at Sony Pictures Imageworks. VanArts returns often to Mexico to give information sessions about our programs. We are coming back in February 2019, so register now for the city nearest you! 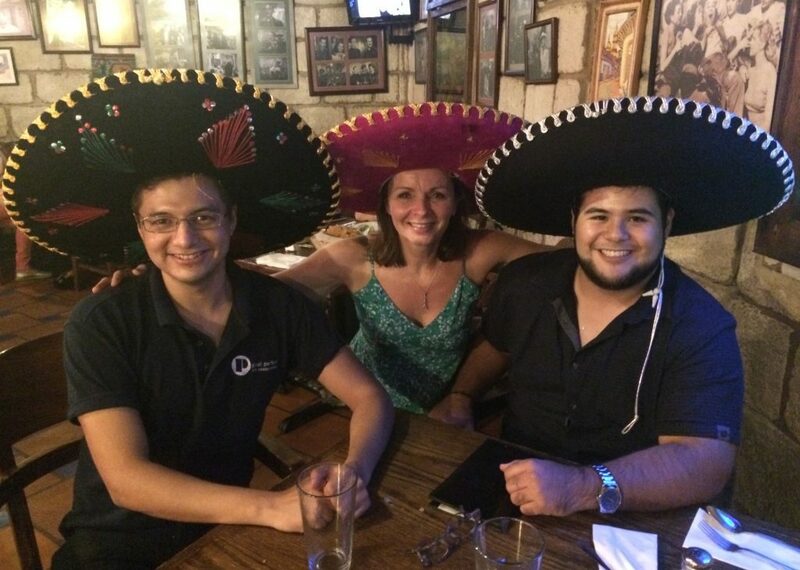 Eden Munoz and Luis Moya celebrate in Monterrey with Julie Howgate.